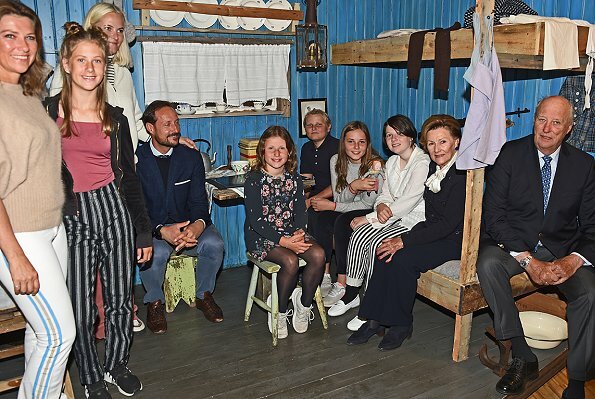 On August 9, 2018, Norwegian Royal Family, that is, King Harald, Queen Sonja, Crown Prince Haakon, Crown Princess Mette-Marit, Princess Ingrid Alexandra, Prince Sverre Magnus, Princess Märtha Louise, Emma Tallulah Behn, Leah Isadora Behn and Maud Angelica Behn visited Svalbard University Center (UNIS) which celebrates 25th anniversary of its establishment. 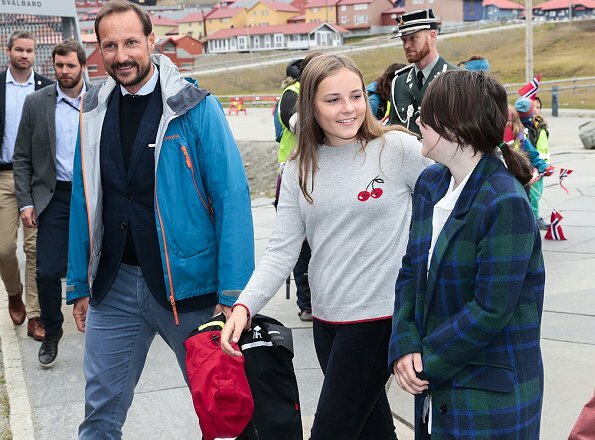 The Royal Family was welcomed by UNIS Director Harald Ellingsen and Leader of Community Council Mr. Arild Olsen. 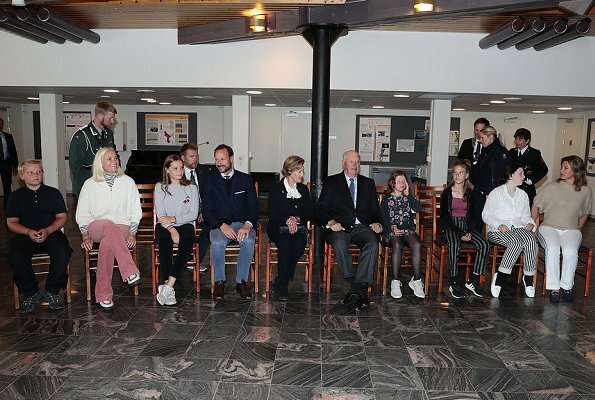 The Royal Family also visited Svalbard Museum for a museum tour and a press conference. 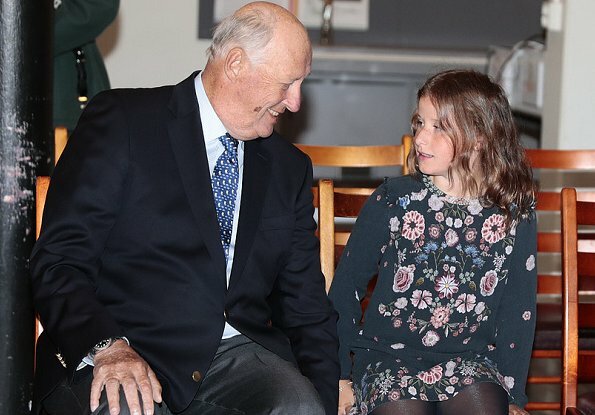 Great family photos. Nice to see such real affection between them all. 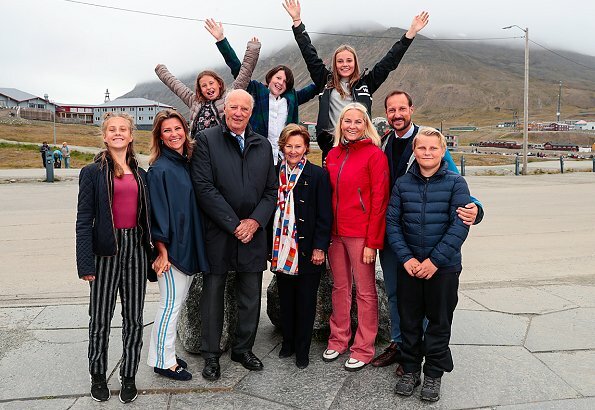 The norwegian Royal family seems to be a strong happy family and share with one another happiness and troubles - lovely pics. Nice family. Cool that they all went together. 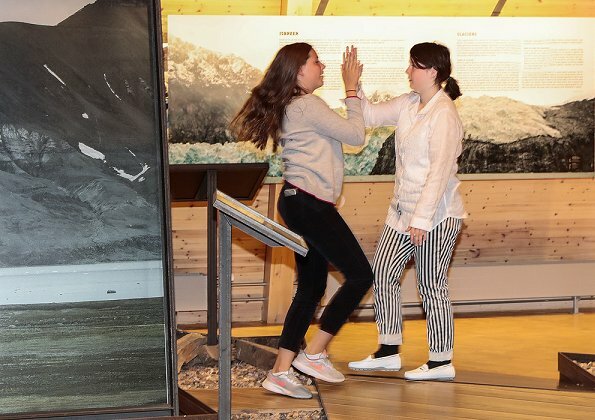 This must be a special trip even for Norwegians, although it´s kind of domestic travel. 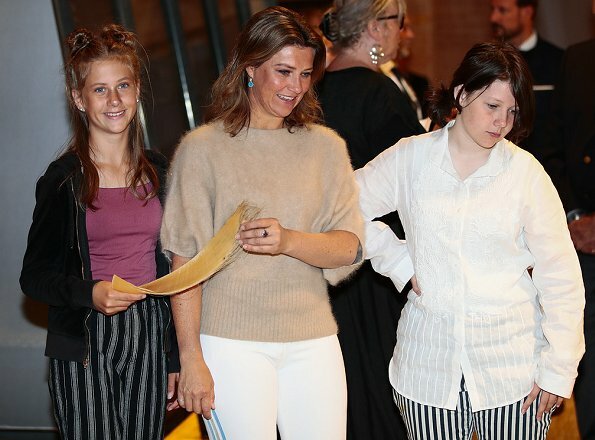 Märtha Louise´s daughters seem to have inherited their mother´s quirkiness. Vanessa; Quirkiness may have been inherited also from their father. But you are right, that family seem to live in their private bubble. 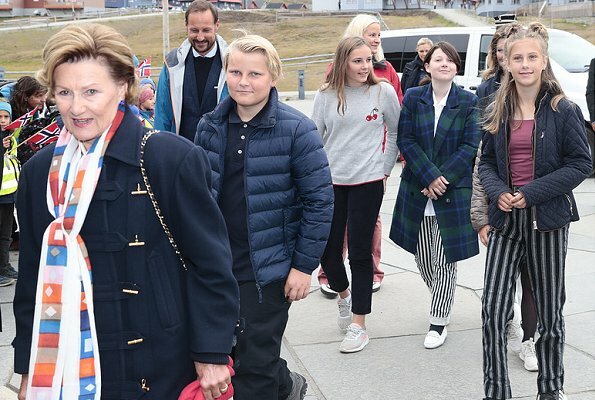 Märtha Louise don´t care at all what these kids wear or do they comb themselves. But nice to see they are all so happy together. Must be the dumbest comment we have read in a long time. They are just as much a royal house as the Netherlands. Love that warm and nice family!